Balimela Dam or Balimela Reservoir is located in Malkangiri District of Odisha, which is 35 kms, from the east of Malkangiri. The Reservoir is on the river Sileru which is a tributary of the Godavari river. The gross storage capacity of Balimela reservoir is 3610 million cubic meters. The Balimela project has an installed capacity of 510 MW. The first unit of Balimela Plant was commissioned in 1973. The Balimela ambush followed by the April 2010 Chintalnar incident in Chhattisgarh, where 75 CRPF jawans were killed, may have given the Naxals an upper hand, A dam is being constructed at Chitrakonda, 25 kms. from Balimela across the river Sileru. The total inflow into the reservoir is shared equally by the two Governments.The first unit of Balimela plant was commissioned in 1973. Water to the Balimela Power Station is taken from Balimela Reservoir through a 4 K.Ms. long Pressure Tunnel, which ends in a Surge Shaft of 20 Meters diameter and 79 Meters high. Four numbers of Steel Penstocks 3.7 Meters diameter and 183 Meters long take-off from the Surge Shaft to Butter Fly Valve House. Andhra Pradesh (AP) and Odisha states entered into agreements to construct Balimela dam as a joint project and share the Sileru river waters available equally at Balimela dam site. Odisha developed the 360 MW (6 × 60 MW units) power house by diverting the Balimela waters to the Potteru sub-river basin. A barrage at Surlikonda across the Potteru stream was constructed to redirect the discharge from Balimela Power House into two main canals for irrigation; one on the right side named Tamasha Main Canal and the second on the left side named Gompakonda Main Canal. These two canals were constructed under the Potteru Irrigation Project for irrigation in Malkangiri district, the most backward district of the state and thereby lifting the living standard of the inhabitants. Two more power generation units 75 MW each were added under stage-2 to increase the installed capacity up to 510 MW. The share of Andhra Pradesh from the available water in the Belimela is released downstream into the river for generating hydro electricity located at Upper Sileru, Donkarai and lower Sileru Hydro power stations ultimately utilizing the water for irrigation in the Godavari delta during dry season. The nearest Railway Station is Jeypore. Tourist traveling in Railways are advised to drop at Jeypore and pick the local buses directly connected to the place. Visitors who visit by air are suggested to connect Visakhapatnam Airport to reach Malkangiri. The Visakhapatnam is 270 Kilometers away from Malkangiri by road. 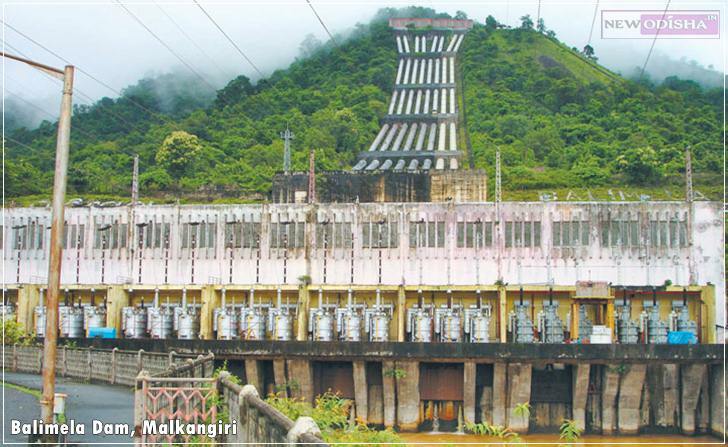 Give Responses for "Balimela Dam of Malkangiri District"